With a slew of new hotels popping up all over our island, choosing one for a staycation is tough business. And to top it all off, I’ve got a pretty ambitious list to tick: a relatively central location that’s removed enough from the hustle of the city, and a chic vibe that doesn’t feel too far from home. 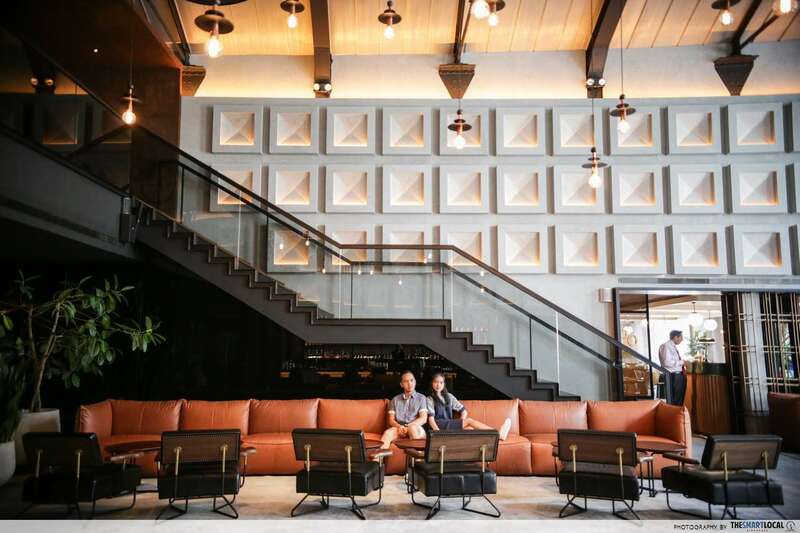 Featuring whitewashed walls and a symmetrical trio of buildings, The Warehouse Hotel - perched on the bank of the Singapore River - is easy on the eyes. With a facade like that, it’s almost inevitable that the hotel has opened to a ton of fanfare and Insta hype. And us being us, we obviously couldn’t pass this one up. 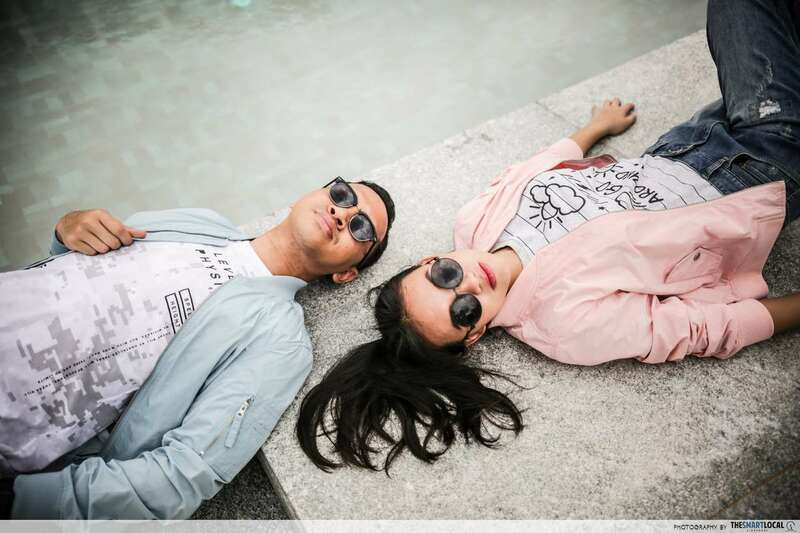 In classic pics or it didn’t happen fashion, we’ve paired with bossini to bring you the best photo spots - and accompanying ootds from their 30th anniversary On The Go line - to make this staycation a worthy photo album front cover. In line with bossini’s SS17 “Move On n’ Beyond” campaign, don the collection for a combination of style, function and comfort, and power ahead to your next vacation! Fun fact: Built in 1985, The Warehouse Hotel was originally - surprise surprise - a warehouse. But not simply a warehouse for sundries - from prostitutes to secret societies, the area was not short of vices. 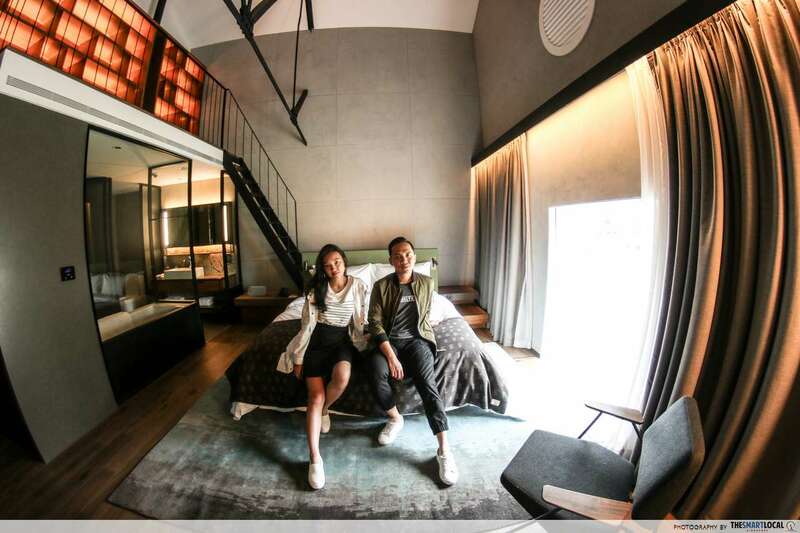 Today, The Warehouse Hotel has shed its shady image to embrace chic modernity. When we first stepped into the lobby, we could see this in all its glory. High ceilings and dangling light bulbs make for a glamourous vibe, while vintage pinwheels hanging from the roof assured us that this is an establishment well aware of its roots. We thought the hotel was already swanky by day. And then the lobby really came to life. The moment the sky turned dark and the light bulbs twinkled on, we knew this was something special. To experience the hotel’s chill vibes at its best, be sure to visit the bar for an evening drink. We found it atypical with its low tops - another quirk of this hotel we came to love. Look out for local twists such as Kaya Lumpur, which bears zesty pineapple undertones, and Kopi Cat for a chocolatey richness. It’s official - we’ve found new cocktail creations worthy of Singapore Sling-status. Tip: To stand out from the lobby’s warm tones, pair this backdrop with bossini’s smart casual series of greys and indigos. From an afternoon chill sesh to a semi-formal evening drink, you’ll be ootd-ready for any event. 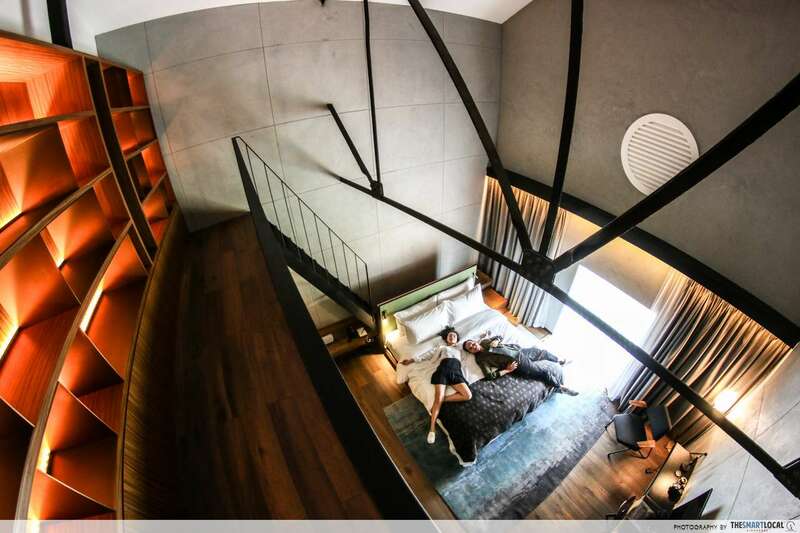 We opted for the River View Mezzanine, a gorgeous 2-storey room that had us completely floored with its loft style. A towering steepled ceiling - complete with steel fixtures for an industrial look - took our breath away. To make the most of your crib, put on some monochrome colours for effortlessly stylish shots. Between dressing comfortably and fashionably, you shouldn’t have to choose. Clad yourself in bossini’s casual tshirts and lightweight outerwears for a trendy look that doesn’t infringe on comfort. The staircase leading up to the 2nd floor was a little too steep for my clumsy self, but the blackened steel makes a great backdrop for your inner vogue. Warm glows lining the bookshelves on the loft add a pop of colour to the clean steely look of the place. The room boasts an open bathtub concept, so you won’t be tripping over curtains on your way to the shower. PSA to shy pies: don’t worry, you won’t have to flash your junk. The closed-off shower will shield you from any prying eyes. Despite natural lighting let in by the windows, the room still exuded a dark, brooding atmosphere. This may put some off, but we found the light accents perfect for a cosy afternoon under the covers. Take a tip from bossini on how to pack light - the long parka I had on was packable and could be folded into a pouch, saving me tons of luggage space. Its water repellent surface also resisted the makeup stains I accidentally got on it - bonus points for versatility! Together with Fauzi’s relaxed get up, it was a great look for our stay here. The Warehouse Hotel has our hearts for one of the most photogenic infinity pools in Singapore. Literally a gigantic glass tank, we found its sleek design absolutely to-die-for. With its transparent glass side, you can now have your full-length swimsuit ootd without even leaving the cool water. A completely see-through surface makes for easy underwater shots. Simply get your friend to stand in front of the tank, swim towards the glass surface and smile! Throw on some pastels and shades for a pre-swim photo sesh that screams “summer vacation”! bossini’s got you covered with matchy-matchy bomber jackets for you and bae. Pair them with slouchy pants and you’ll get a laidback pool side look worthy of a magazine cover. The pool is a little too small for you to practise your laps, but we thought it was perfect for an intimate swim session. The surrounding high-rise buildings also made a beautiful backdrop for our pool shots. Up the glam factor on your weekly run and enjoy one along the banks of the Singapore River. Despite being in the heart of the city, we found the area great for a quiet run. Be sure to sneak in a few shots of the hotel’s exterior for a reminder of your vacation status! Here’s a tip for an amazing view of your crib - cross the bridge along Saiboo Street to get to the other side, and be awed by the reflection of the hotel in the river waters. But of course, you didn’t work out if your outfit didn’t live to tell it. Don some athleisure for a sporty chic look that’ll turn heads for all the right reasons. bossini’s take on this clothing trend had us crooning for its added dimensions of style and comfort. While prancing around in our new get ups, we found bossini’s new lineup to have a strong athleisure focus, making these outfits perfect for sweating it out in. Fine details like mesh trimmings and lightweight materials added extra breathability for us to still look picture perfect after a daily workout. Post-workout selfies never looked this good. 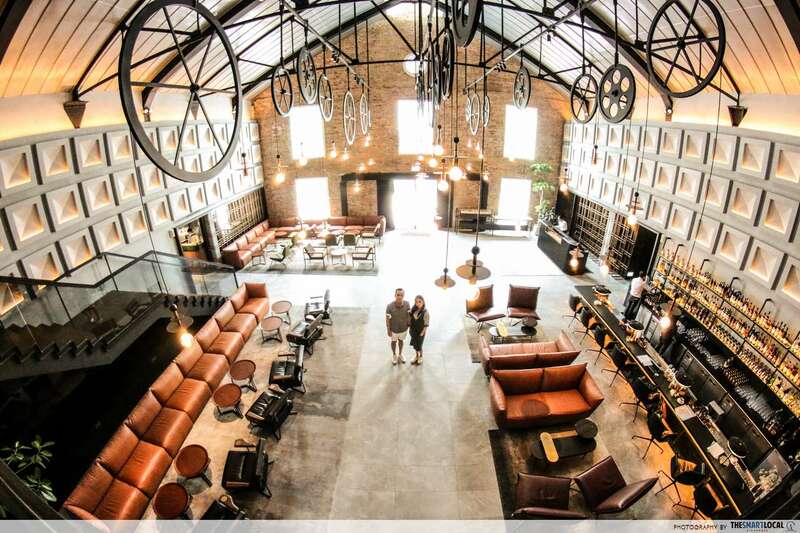 After our stay, we’re convinced that The Warehouse Hotel is well worth the hype that surrounds it. Don’t be fooled by its minimalist exterior - the hotel houses a good 37 rooms behind those walls. Yeah, we’re still having trouble believing that ourselves. With breathtaking ceilings and gorgeous decorations, a stay at The Warehouse Hotel is a definite up on the glam scale. 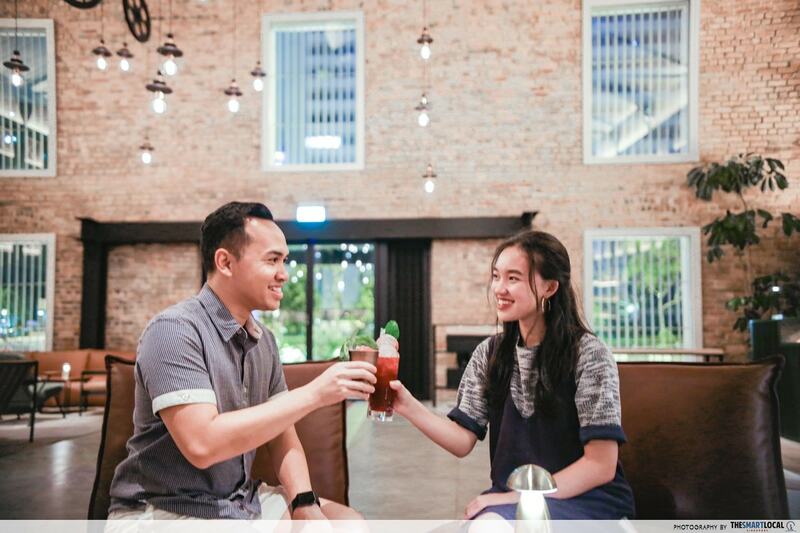 Even if your wallet’s too tight for a full-fledged night here, you can pop by the lobby bar for evening drinks after a long day of work. The snug lighting and chill music will recharge your batteries to power through the week ahead. Photo shoots are not easy. Try running for 30 minutes under the sun for some eye-popping action shots and you’ll see what we mean. Thankfully, bossini’s light “On-the-Go” wear made the job to #moveonnbeyond much easier for us. 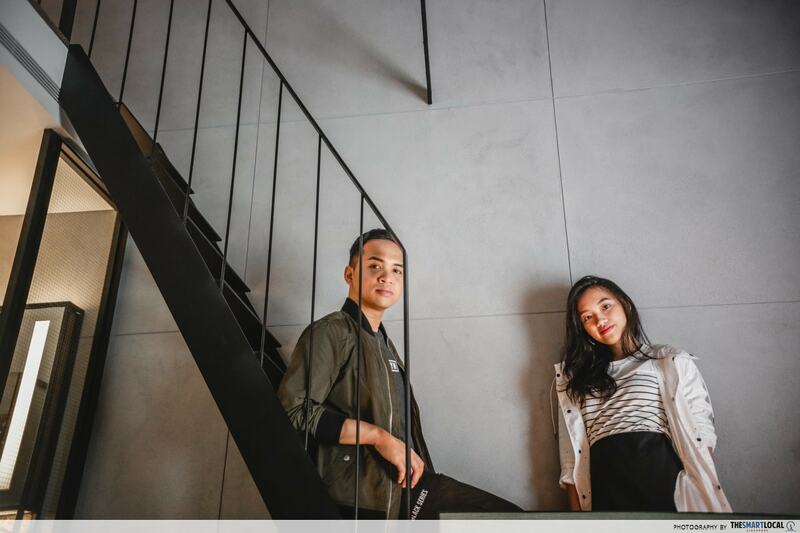 From lounging out by the pool to perfecting that broody room smize, we found bossini’s new collection great for Singapore’s climate. Fashion forward athleisure designs and flattering cuts also readied us effortlessly stylish from any angle. To celebrate #bossini30years, bossini is offering a 30% discount storewide for all 1987 babies from 3 March 2017 till 31 March 2017, along with other in-store promotions, so be sure to check it out! Find out more about bossini's 30th Anniversary Collection here! This post was brought to you by bossini.